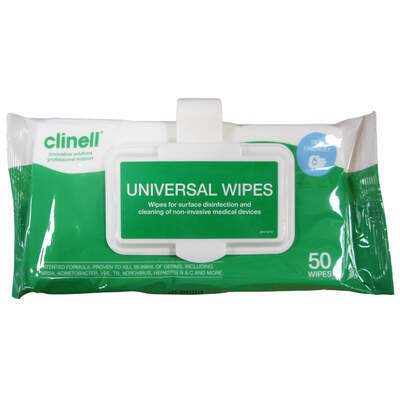 Clear out your utility cupboard of unnecessary products with these Clinell Universal Wipes 50 Pack. 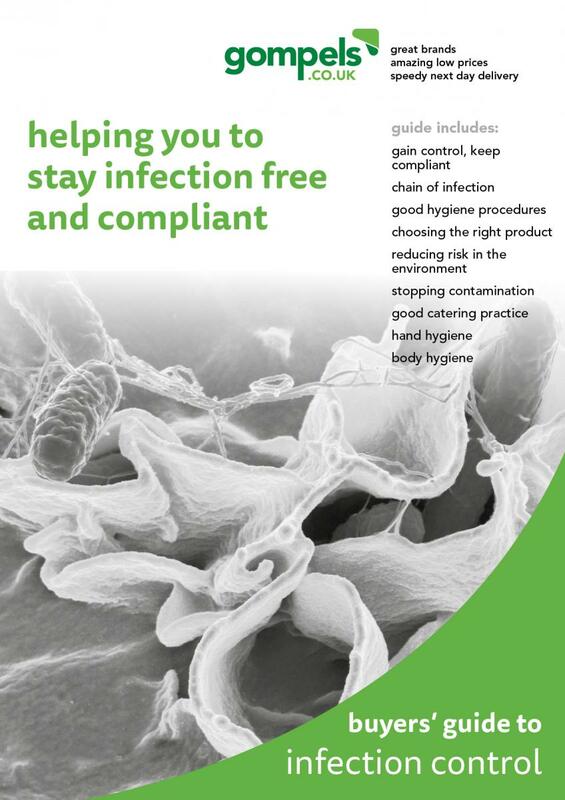 Developed by a leading brand, these multi-use wipes have been designed for everything from surface disinfection through to the cleaning of non-invasive medical devices. With their unique and patented antimicrobial formula, each wipe promises to be gentle on the skin while effectively killing and removing bacteria instantly. Proven to kill at least 99.999% of germs including MRSA, E.coli, Candida Albicans and enterococcus hirae, their unique mix contains the combination of a number of different biocides that prevent germs from building up a resistance to their power. Provided in an easy to distribute pack, choose a wipe that towers above the rest and becomes the one cleaning tool you couldn't bear to do without. NEW - This packet now includes a handy clip, great for attaching to your cleaning trolley or to the end of a patients bed. Take a browse through our other Clinell items available to purchase here today at exceptional, wholesale prices.